Ubi Catechismum latine conscriptum inveniam? 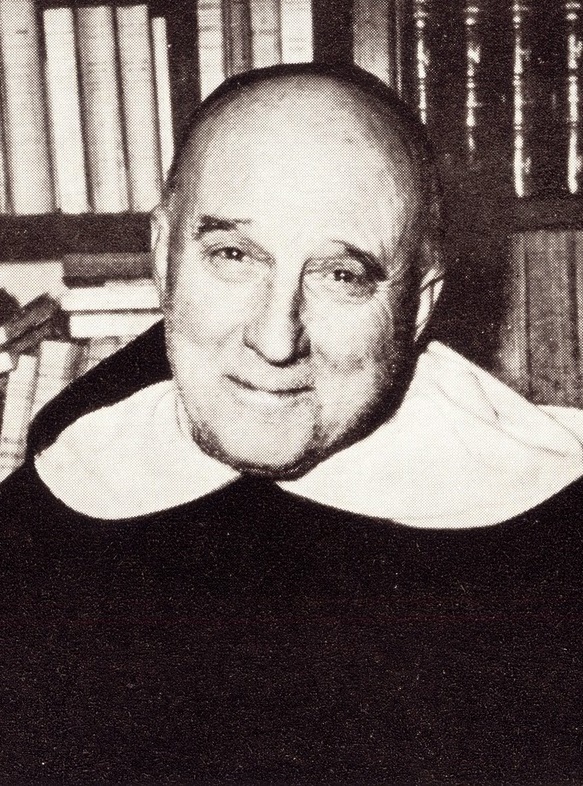 I have suggested to TAN and St. Augustine's Press that I would be interested in Editing an edition of Garrigou-Lagrange's commentaries in English. One Volume, On the Eucharist (De Eucharistia), has not been translated, to my knowledge; and as far as I can tell the second volume of The Theological Virtues was never published--at least I've never been able to find evidence of one. 1) De Revelalione per Ecclesiam catholicam proposita. 2) Le sens commun: La philosophie de l'être et les formules dogma­tiques. 3) Le réalisme du Principe de finalité. 4) De virtutibus theologicis. Commentarius in ST, II-II.17-46. 5) De Eucharistia. Accedunt de Poenitentia quaestiones dogmaticae. 6) Le sens du mystère et le clair obscur intellectuel. I would especially be interested in translating the first two myself. 7) Dieu accessible à tous. 8) Introduzione allo studio di Dio. Schemi di lezioni. 9) Attualità e essenza del tomismo. 10) Mère Marie de Jésus Deluil-Martiny. 11) Mère Marie de Jésus. Fondatrice de la Compagnie de la Vierge. 12) Many French articles available at Salve Regina site. (See bibliography there too). I met Fr. Eickhoff of St. Augustine Press in last October's ACPA conference at Notre Dame U. I thanked him for the publication of "The Sacred Monster of Thomism" and mentioned my interest in Garrigou. I told him I would be interested in publishing a translation of Garrigou's De Revelalione per Ecclesiam catholicam proposita. He gave me his card and said that St. Augustine's Press has been toying with the idea of publishing the Collected Works of Garrigou in English and that there are others who are interested in translating some of Garrigou's works. "This is a large undertaking for us. I would need a couple of ducks in a row before I agree. Of course, we'd need clear contract from the Dominicans to proceed, and I'd have to find a grant after I know how many books and their size would constitute the final series." I don't know what that means exactly. I got a bit discouraged and haven't contacted him since. Maybe we can join forces and get them excited about this project again! Quis vestrum scit, ubi Catechismum Ecclesiae Catholicae latine conscriptum inveniam? 1) Catechismus Romanus: a) anglice, b) hispanice, c) italice, d) gallice. 2) Catechismus S. Pii X: a) anglice, b) hispanice, c) italice, d) gallice. Spero haec tibi utilia esse. Ut valeas in Christo resurgente! Feria sexta post Dominicam in albis, anno Domini bis millesimo sexto scribebam. Maybe we should all email the Tan Books editors and ask them to reissue Garrigou's philosophical and theological works as well, rather than just the ascetical/spiritual works? I encouraged them to do so some time ago, but they said that the demand for hard Thomistic philosophy is rather low nowadays. I am desperate to get hold of Garrigou's commentaries on the Summa. I agree. Those need to be available in print. I have been down there to TAN Books (Rockford, IL) several times and have had nice chats with them about their plans for the future. I will go there again once or twice again this summer and will make that suggestion. I will assure them that I will be ordering Garrigou's philosophical and theological works for my classes if they decide to reprint them. My recommendation is that those of you who teach do the same, if you can. What they need to know is that they will sell. In addition to their many reprints of Garrigou's spiritual works, they have already published three "purely" theological works, namely The Theological Virtues, Vol. 1, Life Everlasting, and Predestination, which are in fact no mere ascetical works as Garrigou's prefaces to those works indicate--I shouldn't say "merely ascetical", because his ascetical works are in a sense at a higher level than his theological works, but, you know what I mean! (By the way, on the relationship between ascetical and scholastic discourse, see Three Ages of the Interior Life, Pt. III., Ch. 1, i.e, the first chapter of Vol. II in the TAN reprint.) So they have already reprinted these (purely speculative) theological works by Garrigou and have had a lot of success. They are likely to have equal success with other works. I will recommendthey reprint at least "Reality," since that one is most likely toget a higher readership than some of the philosophical works, say, Le sens commun, or Le realisme du principe de finalite--which haven't even been translated. (To see pt. 2 of this post, click here). A post by Don Paco. Quaeritur: How could you believe something with human faith (e.g., with "religious assent of mind and will") if you knew it was not true? For example, if a Pope asks you to believe with natural faith something that is contrary to the previous Dogmatic teachings of the Church. I guess what this question is coming down to is whether or not you can accept something with natural faith but actually deny it. That would seem like hypocrisy, don't you think? Respondeo: No, you can't both affirm and deny a propotion at the same time. This is what the principle of contradiction (which is ingrained upon our mind from the moment we first encounter the world) is all about: a thing can't be and not be at the same time in the same respect. Regarldess of what "kind" of faith you believe it with, you cannot believe it and not believe it. It is impossible. Now, you CAN believe something despite evidence to the contrary (as some non-Catholics believe in their religions). But in that case, the person is completely rejecting the evidence---the person is not assenting to contrary propositions, but only to the false proposition. You cannot, however, believe and disbelieve at the same time, or believe and know it is not true. So, in conclusion, if anyone asks you to believe (with "religious assent") something that is clearly incompatible with infallibly defined dogma, which you know with divine certainty, you could not possibly do that. Not that it is immoral; it is simply impossible. It would be like obeying your father, who asks you to believe that 2 + 2 = 5; as much as you love him, and wish to be obedient to him, you just can't believe that! Quaeritur: In part 6 you said that if you cannot reconcile the new (e.g. Vatican II) doctrine with the old, you said, "I simply suspend judgment on the new teaching and hold firmly to the old. So I don’t deny the new, but simply remain in aporia (state of puzzlement)." Why do you give a special preference to the old in this situation? Why wouldn't you simply suspend judgment on the old teaching and hold firmly to the new, not denying the old, but simply remaining in aporia (state of puzzlement)? Respondeo: I take this interpretive approach (and I want to be clear and say that it is my approach, and I do not intend to speak for any of the other contributors to this blog), not out of a blind prejudice against the new, but simply because the old is generally clearer. For example, Trent teaches that Protestants (viz., those who deny the Real Presence, the Sacraments in general, justification through works, etc.) are anathema or excommunicated and therefore are not part of the Church, the Mystical Body of Christ. On the other hand, there is Vatican II's Lumen gentium, which seems to say that Protestants are somehow part of the Church and to possess some degree of communion with the Mystical Body. So in this case I understand very plainly what Trent teaches (infallibly, I might add), but I'm not sure what Vatican II is trying to say (which, whatever it may be, is not de fide). So what I do is hold fast to what I do know, and simply suspend judgment on what I don't understand, until I understand it. And let me remark that this is not some sort of universal rule of theological interpretation, but simply my own personal way of dealing with it. In fact, traditional Catholic theology does not, to the best of my knowledge, have a way of dealing with contradictory, or apparently contradictory, ecclesiastical documents--because, as a rule, that just didn't happen in the past! So this way of dealing with (apparent) contradictions that I have come up with is my best shot at trying both to be faithful to the teaching of the Church and to avoid assent to contradictory propositions. If anyone suggest a better approach I will gladly take it up. Quaeritur: I was wondering what does "the religious submission of mind and will" mean in reference to Vatican II, like what you write on your website. I want to know because it seems contradictory to believe something in faith but not in mind and will. Respondeo: Faith is a supernatural (or "theological") virtue. Submission of mind and will is a purely natural assent. For example, I firmly believe that God is three Persons in One Nature. I also firmly believe that my mother loves me. But my firm belief in the dogma of the Trinity is an act of supernatural Faith; whereas my firm belief that my mother loves me is an act of merely human faith. So when V2 asks us to submit in mind and will to the non-infallible teachings of the Roman Pontiff, it is asking us to assent with a natural faith, as it were, not with the supernatural virtue of Faith. How should we interpret the doctrines contained in the documents of Vatican II that seem to contradict traditional Catholic teaching? –We should interpret its teachings in light of previous (that is, pre-Vatican II) teaching. 1) First, I try to understand both the “new” teaching and the traditional teaching. 2) Second, I try to reconcile the new in light of the old, because the old is always clearer and it is generally the new teaching that needs clarification/explanation. If the new teaching is part of the authentic Magisterium, then it must be very clearly compatible with previous official teaching. 3) Third, if the new teaching, to my mind, cannot be reconciled, I simply suspend judgment on the new teaching and hold firmly to the old. So I don’t deny the new, but simply remain in aporia (state of puzzlement). We could discuss some of these apparently contradictory teachings later. There is a glaring contradiction in the fact that it is just the people who have let no occasion slip to allow the world to know of their disobedience to the Pope, and to the magisterial declarations of the last 20 years, who think they have the right to judge that this attitude is too mild and who wish that an absolute obedience to Vatican II had been insisted upon. In a similar way, they would claim that the Vatican has conceded a right to dissent to Lefebvre, which has been obstinately denied to the promoters of a progressive tendency. In reality, the only point, which is affirmed in the agreement, following Lumen gentium 25, is the plain fact that not all documents of the Council have the same authority. For the rest, it was explicitly laid down in the text that was signed that public polemics must be avoided, and that an attitude is required of positive respect for official decisions and declarations… The Second Vatican Council has not been treated as a part of the entire living Tradition of the Church, but as an end of Tradition, a new start from zero. The truth is that this particular Council defined no dogma at all, and deliberately chose to remain on a modest level, as a merely pastoral council; and yet many treat it as though it had made itself into a sort of ‘superdogma’ which takes away the importance of all the rest. A post submitted by Fr. 'Romanus' (edited by Don Paco). What kind of assent do we owe to Vatican II? –Only the “religious submission of mind and will” (assensus religiosus), and not the adherence of faith (fides divina vel ecclesiastica). In other words, the argument is the following. We owe the assent of faith only to officially defined dogma. And here the Magisterium is telling us that we owe assensus religiosus to non-defined doctrine. But the council, in its entirety, falls under non-defined doctrine (as stated above). Thus, we owe to it, in its entirety, only assensus religiosus, rather than the assent of faith, which we owe to dogmatic decisions. Now, note the following. It is true that only the failing to assent with fides divina to a binding doctrine makes you a heretic and that failing to assent with assensus religiosus to a non-infallible teaching does not. The latter might not take you outside the Church, but it is still a sin; a mortal one, actually, because anything pertaining to the faith is grave matter. So non-infallible teachings are not to be taken lightly.